To all who know our dear friend Don Smathers, we’d like to invite you to his Memorial Service at the Junction Plaza Park on Wednesday, April 1st at 5pm. 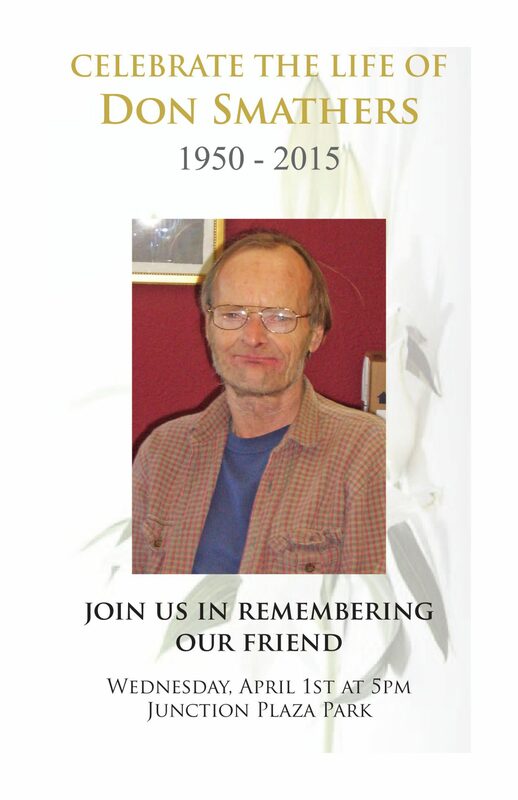 He was a good friend of The Junction and has helped us in so many ways. Let’s celebrate his life. Two thumbs up forever Don. We’ll miss you.